One More Week Until Summer Break! I have to admit that there are many reasons that people become teachers. You enjoy teaching, you enjoy working with students, you are creative or outgoing, or because you love summer vacation and holidays. I happen to have done my time in the real world working in engineering right after a month long trip to Mexico that began the day after I graduated from the Colorado School of Mines in Golden, Colorado. I secured my career before I had graduated and went for one “last” road trip. It was on that road trip that I met my climbing inspiration Tommy Caldwell and many other climbers whom I have become good friends with over the years. Although, Tommy probably doesn’t remember our meeting, it was one that changed my climbing. I actually spoke with his father Mike more than Tommy and what I found out back in 1999 was that Tommy became the great climber that he is through discipline, hard work and specific training. 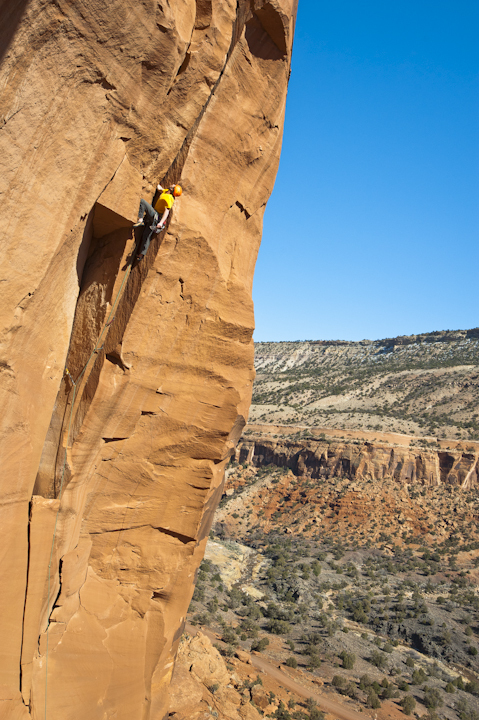 Very few climbers are so gifted out of the box that they climb v-hard or 5.umpteen in their first weeks. I was a gumby with a lot of try hard and hard earned endurance who wanted to get better, but was unsure how to really excell. After talking with Mike and seeing the results in his son, I knew the answer. So as I began my career as a geotechnical engineer, I began to train and take climbing seriously. Although I trained in some ways efficiently, I also got it wrong in others. The beauty of a real year round job is the consistantcy in your schedule. If you are single, in a relationship or married, you have some regular plan that you follow. The great thing about it is that you can train, see growth and then test your growth on your weekend adventures or projects. I am the kind of guy that needs goals and projects to be training for and if I don’t have one I loose the ability to want to try hard at training. With no try hard in training, I often ask myself, why train? It is those times that I have to find some climb that I am passionate about and focus all energy on training for that climb. So why did I begin talking about summer vacation? Well, its just about time to stop the training and start applying all of those skills that I have been working on. It is time to achieve some goals, have some successes and have some failures. With each one, I find new aspects of my game to work on and find even more projects to aspire to complete. Being fit is cool, but using your fitness to achieve something is way cooler. See you all outside this summer, let me hear your best try hard!